Structures once grand and imposing lie in heaps of smoldering ash, their looming facades reduced to debris on the cracked, fire-worn earth. A layer of smoke chokes the empty streets, and the sky looms a sordid, sickly gray. Just a few days ago, this was Paradise, California — now less akin to Paradise and more akin to fiery hell. Indeed, Nov. 2018 marks a dismal month in the Golden State’s history: the month fire raged unabated through its Northern and Southern cities for more than two weeks. California has burned before. But this isn’t like before. According to a New York Times article titled “There wasn’t anything that wasn’t on fire”, California’s most recent wildfire outbreak stands apart from all others in the minds of the firefighters who ardently fought flame and ash; in fact, they dub this fire a “career fire” — the one they’ll measure all other fires against. Sadly, these fires are not an isolated problem; rather, they manifest themselves as the symptoms of a larger sickness — a cancer of the earth. While not the sole causation of California’s fiery strife, climate change likely exacerbated the severity of the what otherwise might’ve been a manageable natural disaster. 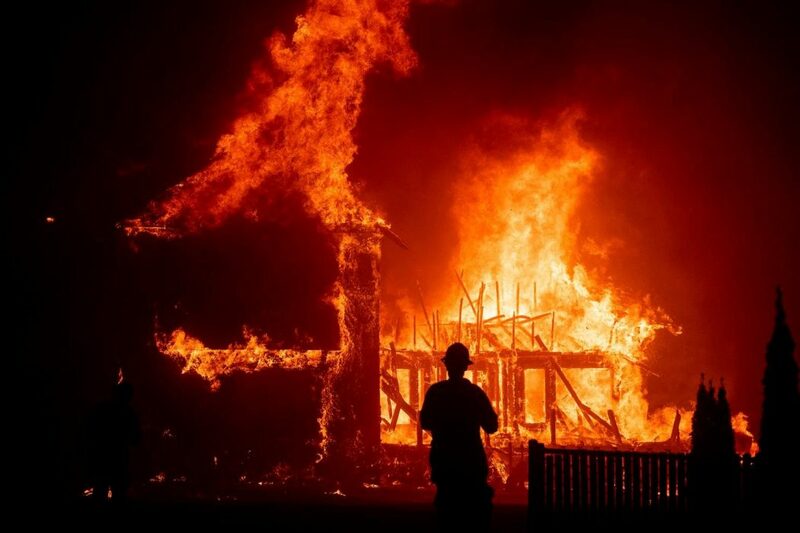 The fires of this past November — the deadliest fires ever to strike California — thus serve as a wake up call for all those dubious as to the devastating implications of our carbon output. Though we might glance at news headlines about climate catastrophe while scrolling mindlessly through social media, it isn’t until climate change affects us personally, until our California-dwelling sister-in-law or brother or mother finds their house in the fire’s ferocious path, that we begin to grasp the full breadth of the issue at hand. Most people who live comfortably and securely do not find themselves directly impacted by climate change; rarely is it that they — or should I say we — step back from day-to-day activities to recognize the nebulous, terrifying concept of our planet’s deterioration. Others, meanwhile, experience the effects of global warming more acutely. While the earth itself cannot distinguish between the impoverished and the affluent, the imbalanced structure of society causes those on the bottoms of the ladder — those who don’t possess the means to evacuate their homes at short notice, as Kanye West and Kim Kardashian did this past Nov. — to experience the brunt of climate catastrophe. As weather events become increasingly extreme and the socioeconomic divide grows ever wider, climate change poses itself not only as an environmental issue, but also as a moral one. In light of the vast and horrendous nature of global warming, many climate-concerned individuals harbor a defeatist outlook. Yes, it’s unlikely that much of the devastation we’ve inflicted upon the natural world will be reversed in the near (or even the far) future, but that doesn’t mean we as a society should meekly succumb to the climate catastrophe we’ve brought upon ourselves. Rather, we should seek to engage in collaborative discourse surrounding the environment’s degeneration (and by extension society’s degeneration, for the two go hand in hand), as it is imperative that climate change enter mainstream politics — not so as to bolster the ‘global warming debate,’ but rather so as to unite opposing parties in the face of a global issue. We must talk about devastating events like California’s wildfires in relation to climate change, for some people — namely our president — still fail to see the connection between the two. In light of our president’s ignorance, one thing is certain: California’s wildfires serve not only as a wake up call, but also as a call to ‘wake up’ others to the reality of climate change’s devastating implications.